One powerful treatment and gentle pat at a time. padding, dark shadows appear more pronounced, and water retention from salt, alcohol, and allergies can lead to inflated bags underneath. But these fragile areas also have a skin-care advantage, says Manhattan dermatologist Shereene Idriss: "They absorb topical treatments more readily." You can see some improvement in as little as two weeks, says Tucson, Arizona, dermatologist Jody Comstock. In a doctor's office, you can get results even faster. Botox stops muscle contractions for up to four months (from $300 per area). 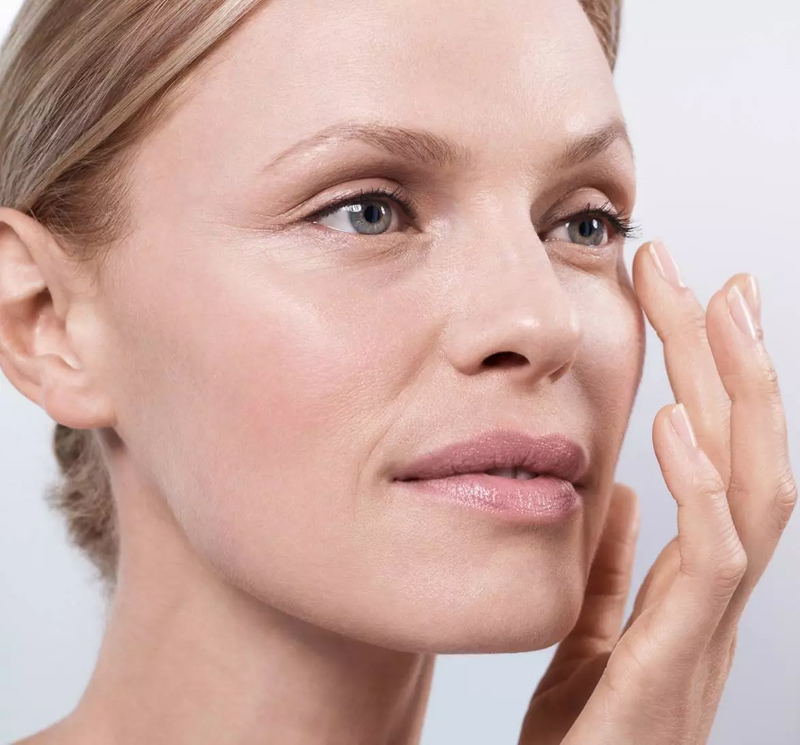 Lasers like Fraxel target fine lines and fade pigmentation; ultrasound therapies like Ultherapy boost collagen production, with results that last up to two years (both start at $700 per session). And hyaluronic-acid fillers like Restylane and Juvéderm instantly replenish volume (from $500 per syringe, two to three times a year). 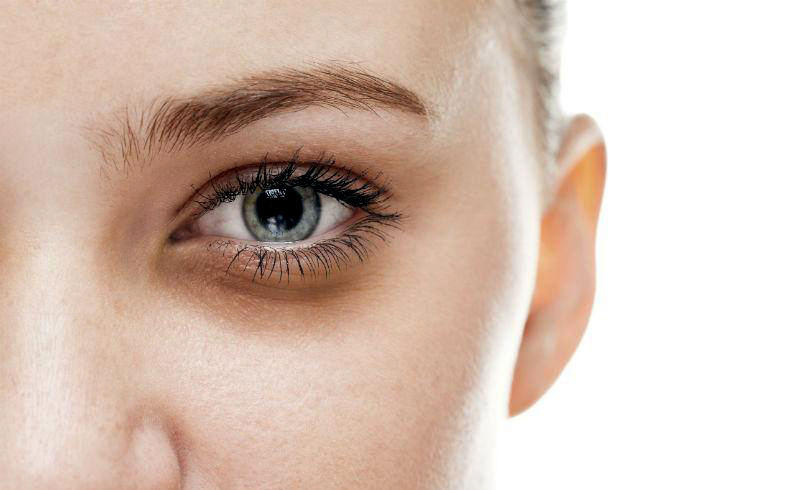 If you're looking for an at-home method for treating dark cicles, puffiness, and lines around your eyes, read on for our best tips. For optimal results, commit to using a targeted treatment every day, then protect your eyes with sunscreen and oversize shades. For less pressure (in other words, less tugging), apply eye cream with a non-dominant digit, such as your ring finger. Tap it along the orbital and brow bones, and steer clear of the lid to avoid irritation and stinging. Discoloration has several underlying causes—and cures. Brown-tinged circles are typically vascular and caused by sun damage, eye rubbing, or genetics. To prevent blood-vessel expansion, apply a cold compress in the a.m., and use a cream with capillaryconstricting vitamin K. Bluish circles happen when the loss of subcutaneous fat pushes blood vessels flush against skin. Ceramides and vitamin C help rebuild collagen (i.e., padding). To conquer crow's-feet, it's retinol for the win. This proven crease-smoother revs up cell turnover to generate fresh collagen and elastin. Your go-to facial formula is fine to use around the eyes, but to stay on the safe side, consider a milder, buffered version specifically for this area—formulated so as not to aggravate or cause redness. Most puffiness comes from water accumulation, says Comstock, who points to alcohol, salt, and even gluten as inflammatory agents. Deflate with a caffeine-spiked serum (keep it in the fridge for a cooling effect) and by massaging the area with a roller ball or your fingers. To prevent future swelling, sleep with your head slightly elevated, so fluid can't accumulate. Sleepless nights and staring at a computer all day leave eyes looking gaunt and haggard. (Blink if you've been there.) Enlist a bit of visual trickery: Brighten skin and offset shadows with a yellow-tinted cream, and look for a formula containing glycerin, which offers an immediate hit of moisture. Presoaked self-adhesive patches are like an IV drip for the under-eye areas, infusing them with a megadose of skin-quenching hyaluronic acid. The U-shaped gels "stick" in place, so you can wear a set while blow-drying or on a plane, and hit the ground rested and revived.